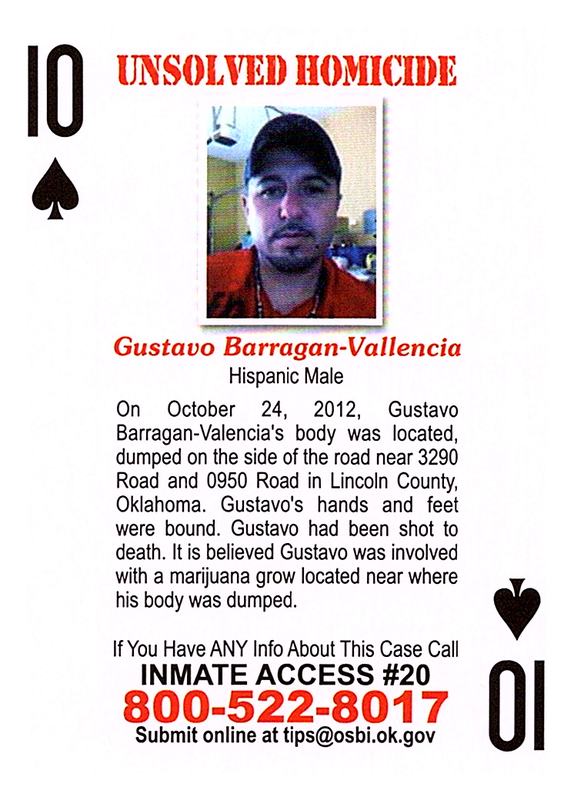 On October 24, 2012, Gustavo Barragan-Valencia's body was located, dumped on the side of the road near 3290 Road and 0950 Road in Lincoln County, Oklahoma. Gustavo's hands and feet were bound. Gustavo had been shot to death. It is believed Gustavo was involved with a marijuana grow located near where his body was dumped.